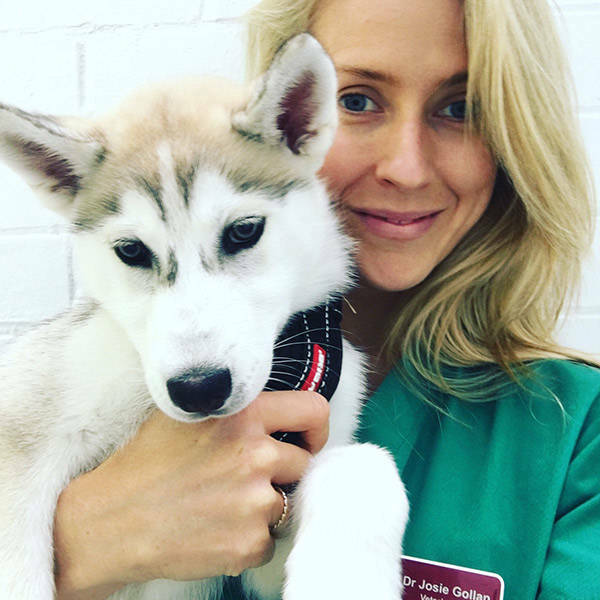 "Really passionate about effective communication with my clients and also the general public so that more people can experience the absolute joy of owning an animal in their lives"
Josie is everything you want and need in a vet. Kind, friendly, super professional and has an actual sense of humour. Alfie has spent quite a bit of time with Josie and every time she has made us feel completely at ease. Josie is an amazing vet and person, as one of Pawssum's service provider she been on house calls, where all of our customers gave her great feedback. Pawssum is honored to be working with her. She will easily take the show to new heights. Josis is the perfect candidate to be the next Bondi Vet. Cares for animals and their owners alike and is a genuinely kind and good-natured person. Go Josie! Bondi Vet would be so lucky to have Josie as their on screen doctor. She is kind, compassionate and has an amazing connection with animals. Helped my little pup after getting bitten by another dog. lover of animals, great person. Josie is a fantastic vet with all creatures great and small that she looks after... she is not scared of any animal... except lizards! Josie's love for all animals is amazing - just look at her instagram @drjosiegollan for proof. This, along with her personality would make her the perfect choice for the new bondi vet. Dr Josie LOVES animals and has always cared for our dog Jack with the utmost professionalism. She couldn't be a more perfect vet for TV. Dr Josie is an incredible vet who couldn't be more perfect for TV. Just watch her video... even without an animal she is the only vet to light up the screen! Josie has taken such great care of my cat Bailey over the years, and is really generous with her time, calling and emailing me about test results outside of consultation hours. She would make a wonderful Bondi Vet!